Playing with numbers is a lot of fun for preschoolers! We set up a simple move and learn game to practice number identification and counting with some of our many plastic eggs. 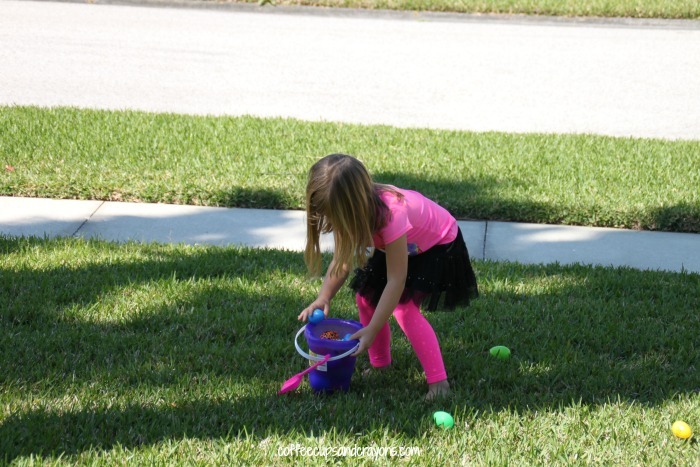 We have started to pull out our Easter decorations and the kids were excited to get to play with the plastic eggs again. I added a little learning to their play with the number cards. I wrote the numbers 11-18 on small cards and spread the eggs out. 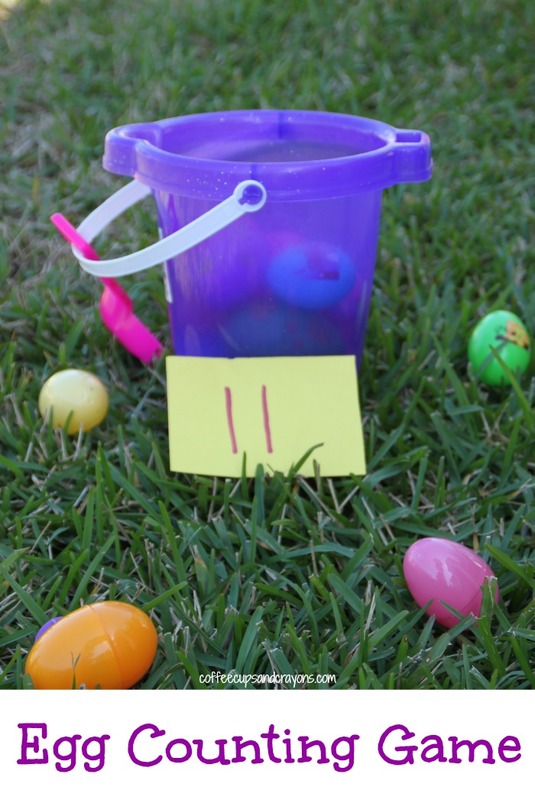 My preschooler chose a card and told me which number is was and then added that many eggs to her bucket. It gave her some extra number identification and counting practice of numbers that can be a little trickier to remember in isolation. Love this idea! My 3 year-old will love to play this next week when the temperature warms up!